When we bring guests onto the #WeGotGoals podcast, we know they aren’t just inspiring individuals because of what they’ve accomplished, but because they have a unique perspective on goal setting that we can’t wait to unpack. 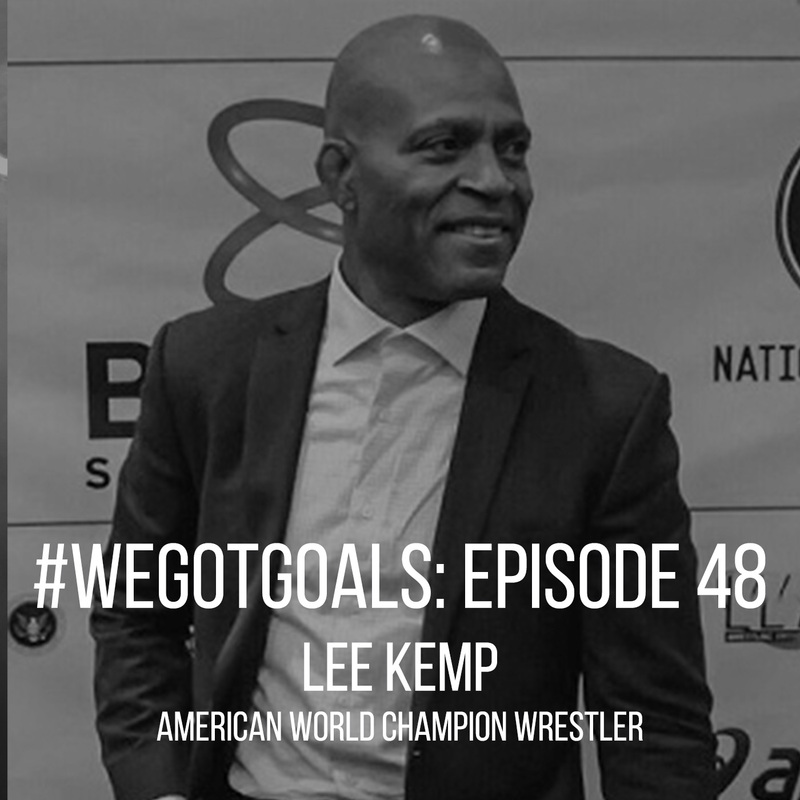 Lee Kemp, seven-time wrestling national champion with three gold medals in the World Championships, four in the Wrestling World Cup and two in the Pan-American Championships, might just have the most fascinating outlook on setting goals we’ve ever had the privilege of sharing on the podcast. In 1980, Kemp was headed to the Summer Olympic Games in Moscow when he heard the news on television: President Carter announced America’s boycott of the Olympics. This news, which may have sounded like a disappointment to avid sports fans at home, changed the course of Kemp’s life forever. Kemp is one of the most decorated athletes we’ve interviewed, but this defining moment in his career, which he describes as akin to a death in the family, propelled us into a deeper conversation about setting goals – how you respond when the one thing you’re fighting for doesn’t come to fruition. Although many of us don’t face literal Olympic-size disappointments, Kemp’s story is relatable to every up and down we experience in our careers, relationships, dreams and goals. “Sometimes life throws you something that you can’t really understand, like a death, like a sickness, but you still have to, to move on,” he says. That’s just what Kemp did. Two phrases that Kemp’s role model and fellow wrestler told him in a high school wrestling camp fueled his fire throughout his wrestling career: “anyone can be beaten” and “anyone could be a champion.” He took those two pieces of advice to heart at this inflection point in his career and created a fresh pathway to becoming a champion, even if his view of what “champion” meant changed. Kemp describes owning his own car dealership for 14 years like being in the ring. Although Kemp is grateful that wrestling made its way back into his life – he coached at the 2008 Olympics and now helps out coaching his son – he recognizes the lessons he was forced to learn may be more valuable for life than what any Olympic victory could have done for him. Kemp’s unique perspective in the professional, corporate world and as a professional athlete allowed him to see that across every industry, there are days when you have to dig deep, pull yourself together and make it through something tough. “I realize is that every industry and discipline – sports, business, anything – there is this overwhelming drive on how can we be successful no matter what discipline that we’re in,” as Kemp puts it. The 1980 Olympics were, of course, a disappointment and an unfair turn of events for Kemp. But his story of resilience is far more impactful, far more resounding, to the rest of the world than any gold medal. Listen to how this Olympic athlete’s goal setting mindset changed based on one life event, and how he’s taken success into his own hands for the present and the future. And if you like what you hear, subscribe where ever you get your podcasts and leave us a rating or a review on Apple Podcasts.